Gather around my friends, I have a salty little tale to tell you. I must caution you, it contains a lot of pressure, danger and risk but it can have a happy ending. Once upon a time we ate too much Na+ salt. When we consume too much sodium, fluid is forced by osmosis to move into our blood vessels, increasing the amount of fluid they contain. Too much fluid in the limited space of our vascular system causes high blood pressure. It’s just like turning on the garden hose but not opening up the nozzle. High blood pressure puts us at risk for a heart attack or a debilitating stroke. But there is something more to the story. Another salty character comes into play called K+ potassium. It turns out to be the real hero in this important saga. A new study led by the Center for Disease Control (CDC) illustrates the fact that when a person reduces sodium consumption and increases potassium consumption, they benefit from decreased blood pressure and a reduced risk of stroke and other diseases. 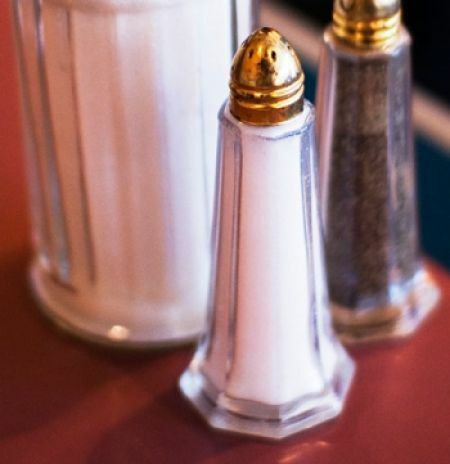 The study found that people whose sodium intake was high and potassium intake was low had twice the death rate of those whose salts were actually in balance. I don’t know about you but I think those are some pretty convincing odds. The key discovery was that the sodium-potassium balance was the most important contributor to success. “If sodium increases your high blood pressure, potassium decreases it. If sodium retains water, potassium helps you get rid of it. Instead of focusing only on salt, we should focus on the balance between potassium and salt. We need to strive to do both — decrease your sodium intake and increase your potassium intake,” said Dr. Elena Kuklina, who led the CDC study. I don’t know about you, but I’m thinking about giving potassium a leading role in my diet. (If you have kidney disease, please check in with your doctor.) Let me clue you in on who the real super stars are in the potassium category. I bet you could guess that one of the best is FISH — (smile) and you can come to Salty’s for that — especially salmon, halibut and tuna. Fruits and vegetables are also big winners, especially sweet potatoes, bananas, avocadoes and spinach, as well as all kinds of dried fruits, seeds and beans. A little yummy bonus is that dark chocolate and cocoa are some pretty strong characters, too. As far as reducing sodium, your best bet is to grab your hand when it reaches for the saltshaker; try to reduce your consumption of all those pre-processed foods — and instead, think simply fresh! Throw in a bunch of potassium-rich foods and your life story could be a long one.